Sometimes I take awhile to get around to reading a book, then I like it so much, I wonder what kept me. I had read Housekeeping by Robinson (after it, too, sat for a long while on my bookshelf). I don't know that I loved that novel though. 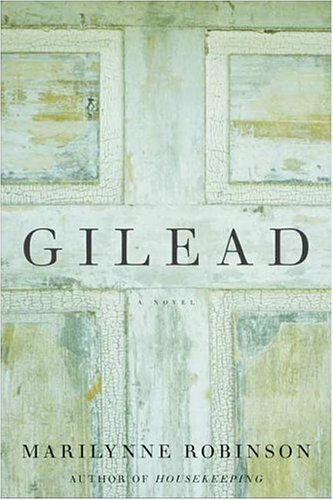 As I started reading Gilead though, I was already thinking of who else should read this book. The novel is the letters (or one long letter) of 77-year-old minister John Ames, approaching death, to his young son, his attempt to explain himself, his life to this child he had for years never expected. Ames had married his high school sweetheart but lost her and their only child in childbirth, and had gone on preaching, never expecting to marry, much less to have children. His wife, a much younger woman who appeared at his church as he preached, brought new life to his later years. The book probably first drew me in since my own father is a preacher who, like Ames, keeps his handwritten sermons from years back. One of Ames' concerns is what will become of these sermons--will they be kept, destroyed, overlooked? This brought to mind Rev. Abner Peet, in Edgar Lee Master's Spoon River Anthology, speaking from the grave in dismay at the result of his life's work. Throughout the novel, Ames remains committed to his calling. A third generation preacher from an colorful line, he believes he would have been called to the work of the Lord even if his father had been a tradesman. In the book, Robinson doesn't mock or trivialize religion or, especially, faith. His closest friend, Boughton, is the Presbyterian minister, and the two seem to make little of their theological differences. Throughout the book, the pastor manages to balance his genuine faith with his human uncertainty. He recognizes shifts in his depth of belief and even looks back at his earlier naivete, reflected in some of his earlier teaching. The antagonist, if he can be called such, is Boughton's son, Ames' namesake, John Ames Boughton--Jack--returned to his father's house after a long absence. Ames feels an urgency to warn his son--and by extension his wife--about the young man he doesn't deem trustworthy. Because the story is told as an ongoing letter, though, the reader's acquaintance with Jack develops along with that of Ames, the narrator. In my experience, novels rarely depict a minister (or even a devoted Christian) in such a believable, sympathetic, complex way. He self-awareness is particularly touching. Robinson avoids all cliches and stereotypes, allowing her protagonist to exist as a father, husband, and friend--as well as a man of God. I love the phenomenon--coincidence or serendipity--of reading something then running into the same ideas or images in an unexpected place. 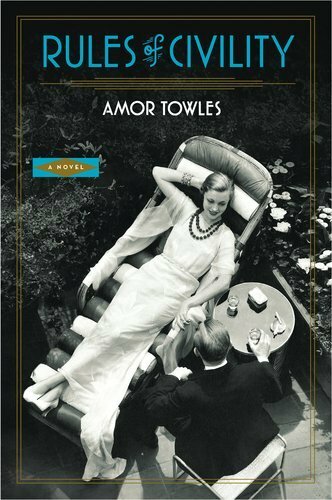 On my recent trip to Washington, D.C., I had begun reading Amor Towles' first novel Rules of Civility, highly recommended by my friend Sandra, who said she didn't want it to end. 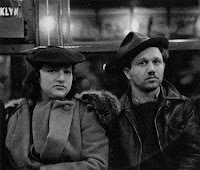 While touring the museums of the capital, I discovered that the National Gallery's current exhibit including--you guessed it--Walker Evans' Subway Portraits. photographer. One of the subjects--appearing in two separate photographs--she recognizes as Tinker Grey, sending her back to 1938, when the bulk of the story is set. A mid-twenties career woman, living in a boardinghouse in New York City, Kontent (accent on the second syllable) and her friend Eve meet Tinker Grey, a young, single, charming banker, on an evening out at a jazz club. Although both girls are enamored, an automobile accident in which they are all involved seriously injures Even, leaving Tinker feeling responsible. Katey moves comfortably among those socially and economically her betters, moving into a position of great potential with a new publication as well. Over the course of the story, Towles reveals the thin but perceptible veil between the haves and have-nots, those born to wealth, those aspiring to it, and those who have experienced great loss. Towles not only develops a charming narrator, but even when showing the weak side of human beings, he obviously has a sympathy for the characters he creates. In telling the story, he also manages to pull together threads of the narrative in a surprising way, sending me back through the tale once I reach the ending, in which he returns to later years in which the book opened. Walking through the exhibit in D.C., I found myself examining the subjects closely, hoping for a glimpse of Tinker Grey. Kugel realizes he can't possibly turn the intruder over to the authorities. He imagines the headlines: Anne Frank turned over to the police. By a Jew. Her presence only adds to Kugel's problems: He has moved his mother into his home after her doctor has given her only a short time to live. His relationship with his mother is particularly complicated because she convinced him in childhood that she was a survivor, a deception revealed to him on a school field trip to the Holocaust Museum, when his teacher disabuses him of the notion, having knows his mother since childhood. She doesn't let go of the lie easily. Kugel and his wife have also taken in a tenant who insists on being able to use a section of the attic for storage, obviously impossible with the interloper there. Meanwhile, Kugel's fears are compounded by a rash of farmhouse fires, closer and closer to his home. He jeopardizes his job, his marriage, and his mental faculties as he comes to terms with his complicated relationship with Miss Frank. Coincidentally, shortly after finishing the book, I visited the United States Holocaust Museum in Washington D.C. with a couple of teaching colleagues, where we met two German teachers and more than twenty students who traveled with them to study and research there. At their debriefing session following their presentations of their research projects, they were led to consider how to process what they had seen. They were then asked to write a letter to someone back home in Germany who might ask why they had taken the trip for this particular purpose. The teacher leading the discussion acknowledged that some people will ask (as characters in this novel do): Why do we need to keep talking and thinking about the Holocaust? It was a long time ago. They had some particularly mature comments and answers. Auslander's novel doesn't necessarily answer any questions, but he certainly poses a number of them. And as the title might suggest, the entire book would serve well to illustrate the literary term "irony." 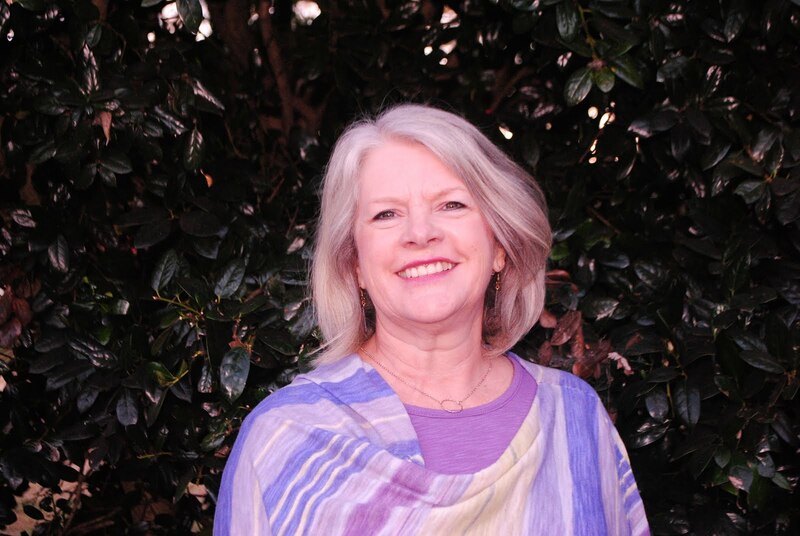 This week, I took a nice drive over to Asheville with friends, eating at Tupelo Honey's before heading to Malaprop's Bookstore, where Tamra Wilson was reading from her new short story collection Dining with Robert Redford (about which I will be writing more soon.) I'll admit that I am a sucker for bookstores--new or used, but I have a special fondness for independent bookstores. Just as I get the best music recommendations from a mom and pop record store (which are now in smaller numbers than their bookstore counterparts), I know I can count on the best book chat at the indies. Even though I've been away from Nashville for years, I still grieved at the closing of David Kidd Booksellers there (and rejoiced to hear that Ann Patchett had ventured with a partner to open Parnassus Books). I have been a member of Lemuria Books' First Editions Club, even though I've yet to visit Jackson, Mississippi. Here in Western North Carolina, Malaprop's has kept its fine reputation for years. They regularly host readings by authors both well-known and first-timers. What difference does it make if I buy from Amazon or an independent? Lots! If I want bookstores to continue to exist, to host readings, to allow me to "judge a book by its cover," I need to do my part in keeping them around. Buying indie doesn't cost any more than going the other route either. Walking into a bookstore on a rainy Thursday evening though. . . . 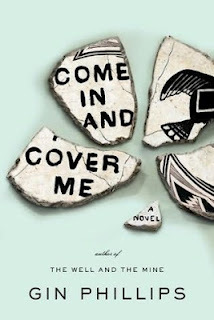 Gin Phillips' newest novel Come In and Cover Me overcame that huge obstacle for authors--a second novel that stands on its own. I had read The Well and the Mine, a gift from a friend, before discovering that several of my friends had ties to the author. As I read this newest work, I never found myself returning to that first novel, so different are the two stories in setting, character, and plot. 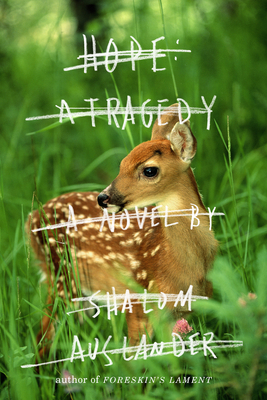 This novel bears more similarities, in fact, to works of other writers whose books I admire. Barbara Kingsolver and Ann Patchett come to mind. The protagonist of this novel Ren Taylor is a relatively young archeologist who established her professional reputation early in her career with the discovery in New Mexico of pottery by one particular Mimbres artist. As the novel opens, she is alerted to discovery in a new dig of more work attributable to the same craftswoman, marked by the distinctive image of parrots. This novel, far from being simply an archeological adventure, though, weaves together a love story and a ghost story. Ren's brother Scott, who died when she was twelve, continues to appear to her, usually singing songs from his extensive music collection. During this dig, she also begins to see members of the Mimbres tribe, including two females, one the pottery artist. Meanwhile, as Ren's relationship to one of her colleagues develops, she is reticent about her own past, while he is open with his. Phillips has artfully woven together an intriguing story with engaging characters, believable even with the supernatural elements. Readers move with Ren toward the discovery that ghosts may appear not of their own will but at our summons. 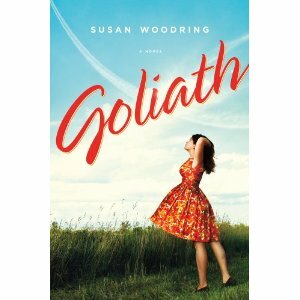 Susan Woodring heeded sage writing advice when she began her new novel Goliath: Get the reader's attention quickly. The book opens as fifteen-year-old Vincent Bailey discovers the body of Percy Harding, owner of Harding Furniture, dead by the railroad tracks. The story that follows weaves together an ensemble cast of the townspeople, all affected by the death and the subsequent decline of the town's main employer. The central character Rosamond Rogers had worked as Harding's personal secretary, plucked from the mailing room years before. She is anything but an insider in Goliath, however. Deserted years before by her husband, a traveling salesman, she has lived on the outskirts of town society, something of an old fashioned woman, one who still not only owns white gloves but wears them, one who names her only daughter Agnes. While Rosamond holds the narrative together, Woodring peoples the story with just the sort of believable but quirky people one would expect to find in a small one-industry North Carolina town. Rosamond's daughter Agnes drops out of college and a "boy husband" Rosamond had never met, whom Agnes informally married after meeting him in class. The teenagers at the local high school also play a central role. A group of girls begin to write "suicide poems" supporting the right to choose to die, upsetting the rest of the towns people--and inspiring their English teacher to begin a poetry unit. One girl decides to read every book in the town's limited stacks, spending her days there. Vincent connects with Cassie, a girl from the trailer park whose poem catches his attention, and the two begin a small crime spree through town. The town's churches seem to coexist peaceably, none able to dispel the town's superstitions, and even the established churches, several flavors of Baptist, not only tolerate but accept Ray Winston, who has been a street preacher in town since he was thirteen and his mother died. While he focuses on saving souls, his father, Clyde Winston, Goliath's police chief and Rosamond's neighbor, dreams of saving Goliath, his solution a town baseball game. At the same time, Rosamond and her Aunt Mia undertake plans to revive the town parade. Following the truism that there are only two plots--a boy leaves home or a stranger comes to town, Woodring's plot introduces two strangers, one Agnes' young husband arriving to try to win her back, sleeping in his car in Rosamond's driveway, and the other, Rosamond's missing husband, Agnes' father Hatley. With her ensemble cast and clever use of shifting third-person perspective, Woodring builds to a climax, moving the story through the town on the day of the parade and ballgame, seamlessly weaving together the lives of the residents of this dying small town.